In the past several years, a bunch of music festivals that started small in Romania, grew quickly and became amazing attractions for people in the country and all over Europe – and they are getting better each year! 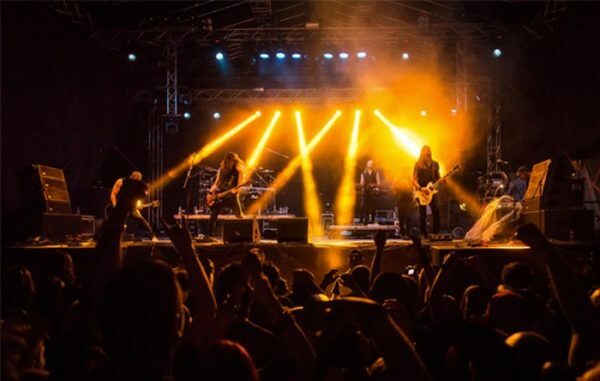 The number of people taking part to these music festivals that only take place in Romania is growing each year, just as it is the case of the quality and sheer number of bands taking part. This means that you should definitely consider – if you haven’t done so already – being part of one of Romania’s top music festivals. The great news is that you have a bunch of great options in different times of the year and I am here to help you choose wisely the best music festival in Romania. How will I achieve that? Well, I will list the best (in my opinion) below and you will choose the one that sounds best for you: or take part at them all and pick your winner afterwards. One relatively young music festival (started in 2014), Untold grew insanely and became Romania’s top electronic music festival and one of the biggest and best festivals in this part of Europe. 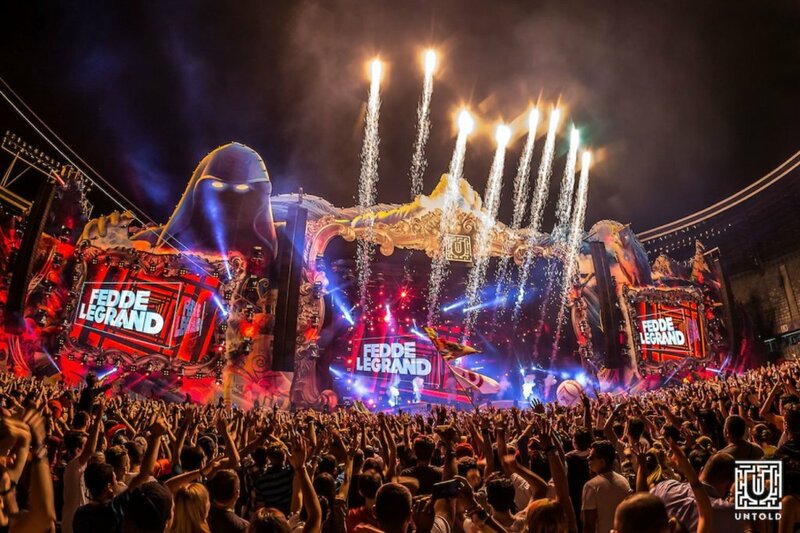 Taking place in Cluj Napoca, sometime in August, when the weather is perfect for spending time outside, the Untold music festival brings on stage important names from the electronic music world. Previous editions brought on stage big names like Tiesto, Armin van Buuren, David Guetta, Avicii, Afrojack and more. Expect large crowds (around 300,000 for each of the previous editions) and tons of fun. This is definitely one of the must go places if you’re into music festivals! You can find out more about the Untold music festival in Romania on their official website. Make sure to also visit Check in Price for the best places to stay in the area and more travel-related advice. Many people consider Electric Castle as the best music festival in Romania and I have a really good opinion about it as well. 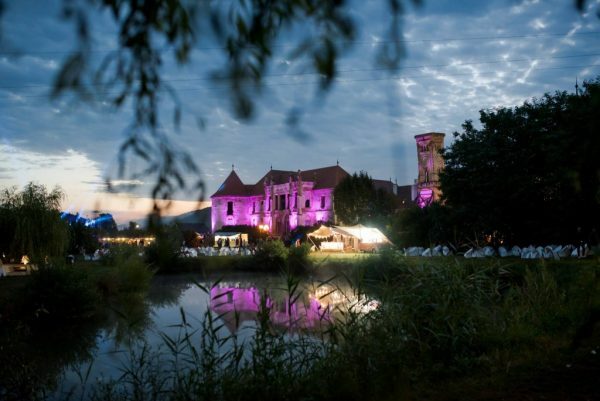 Mixing multiple genres (including rock, indie, hip hop, electronic and reggae) and taking place near a real Baroque castle close to Cluj Napoca, this festival is extremely popular in Romania and Europe, managing to bring together over 100,000 people to celebrate and enjoy great music. It usually takes place sometime in June, so the weather is great, while the artists performing are usually top notch. Some of the big names that performed in previous editions include The Prodigy, Skrillex, Fatboy Slim, Die Antwoord, Thievery Corporation, Dilated People and more. You will also have a chance to listen to many Romanian acts and you might even find yourself dancing near a Romanian celebrity – as many have joined the crowds to enjoy the Electric Castle music festival lately. If you want to find out more about this festival, you can do so on its official website. We’re moving away from Cluj Napoca but remain somewhat in the area: Play Fest is a festival that takes place in Timisoara sometime in September. This is a really interesting project, as it is completely organized and run by volunteers, being the biggest festival in Europe that’s ran by volunteers. Although the artist lineup is not as impressive as that of the previous two festivals, the fact that it’s run completely by volunteers and that there are complementary cultural events (like workshops, movie viewings and such) make it an important festival in Romania and an experience you should reward yourself with. So why not find out more about it if you’re interested? Click here to visit its official website. If you’re into rock music and you happen to be in Bucharest in late June, then attending the Metalhead Meeting Festival is a must. It usually takes place at the Arenele Romane, which is built to handle huge crowds and it grows in popularity every year. The lineup of artists is also really impressive, with bands like Sepultura, Moonspell, Paradise Lost or Kreator, Behemoth (to name just a few) being part of the previous editions. For fans of the genre, this is an amazing festival! You can find out more about it here (they don’t seem to have an English version website, though). Another festival that grows in popularity every year and brings more and more music lovers together is Summer Well. The festival takes place in Buftea, which is near Bucharest and is usually held during the second weekend of August. The atmosphere there is usually amazing – for those who love nature, that is – and the lineup of artists performing there is more and more impressive every year. For example, some of the artists that performed in 2016 were The Chemical Brothers, Hurts, Milky Chance and more. 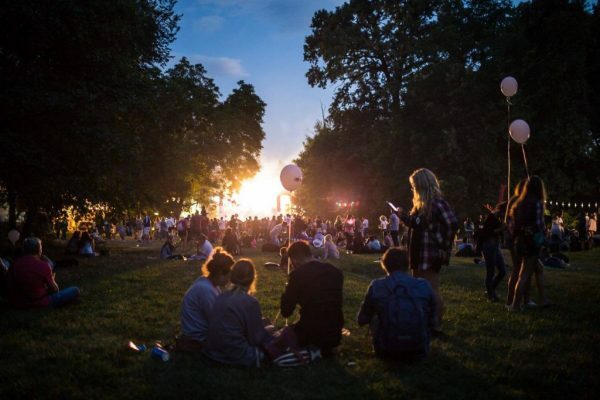 Although its not (yet) as popular as the festivals above – with around 40,000 participants in 2016 – this is a great choice for music lovers who don’t mind spending some time surrounded by nature. Find out more about it on its official website. For jazz lovers, we have Sibiu Jazz Festival. 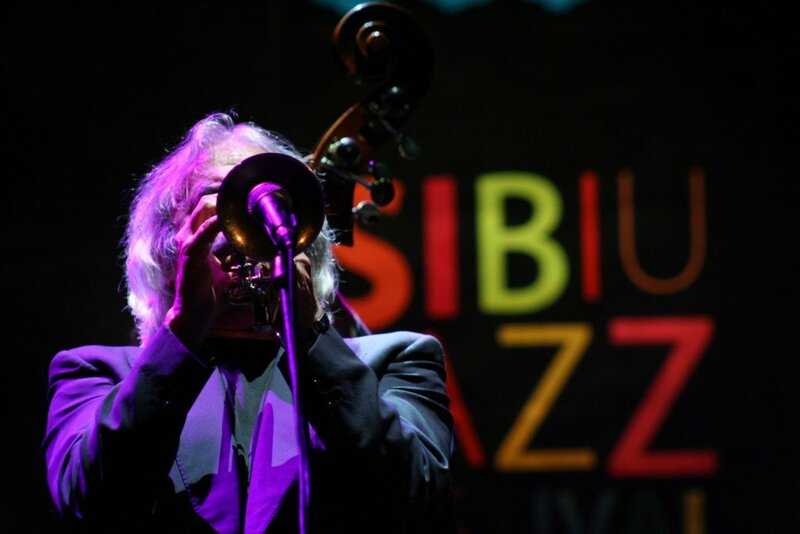 Usually taking place in late May, Sibiu Jazz Festival brings together big jazz artists in Europe and Romania. Plus, it gives you a great excuse to visit one of the most popular and beautiful cities in the country, if you haven’t done so already. It’s also one of the oldest festivals in Romania: 2017 will mark its 46th edition! If you want to find our more about it, check out its official website. These would be the best music festivals in Romania. 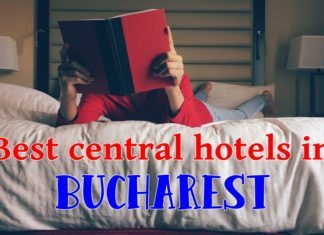 The best thing about them is that they all happen in a relatively short timespan, so if you plan your journey carefully, you can mark them all on your list this year – and see an important part of Romania while doing so! Have you been to a music festival that takes place only in Romania? Share your experiences with us in the comment section below! Previous articleUS Elections: Want to Move Out of the US? Romania Is the Hidden Gem for You! I had no idea Romania had so many festivals????. Pretty cool. I am a bit old for music festivals. I’ve always liked going to concerts of artists that l enjoy. Billie Idol, The Cars, Hall and Oates etc. it’s nice to know there are choices. People love their Coachella and Lollapalooza festivals ???? A couple of weeks ago they had another image from Romania. Mighty pretty county, you have. I think you’ve got the party-pooper senior set here. Music festivals aren’t my thing either. But maybe I could be persuaded to go to the Plai Fest by Timisoara. There seems to be a lot on offer there besides music. Just one more side to Romania I didn’t know about. Ha hahahha!!! Party pooper senior set ???????????????? Calin: Tell me you DON’T have this craziness in Romania!!! Truly, I am afraid to go to any place in the USA where herds of humans congregate! How’s the weather? Have you gotten your first high electric bill? Have you seen these? Of course you have different electricity current, but maybe there’s something comparable which will work in Europe? Regarding the electrical bill, we have a stranger system in our city (they estimate consumption, then they read the actual numbers and adjust every 3 months). But I keep track of things myself and the bill will be around 390 lei as we’re using about 600 KWh this month. Fortunately, in the meantime, the city solved their problems and we’re receiving solid and cheap heat from them, so we’re putting the electrical heaters away. Some pretty good stuff here, but you missed out the Blues Festival at Focsani, in September. They had some live streaming on Facebook this year, and I think they have a Youtube page with videos. Thanks for sharing this, John! It looks really nice! you should probably mention the artmania festival (sibiu) too. These festivals sound like something I should really give a try! Amazing post, thanks for sharing! I’m sure you would love them all, Agness! Thanks for stopping by!